There were plenty of things to talk about this past week. 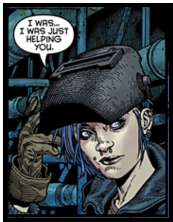 For example, why aren’t more people reading Mara #1? Seriously, do the world a favor and pick up the dystopian adventure starring a strong female lead with art and coloring done in an Art Deco heaven. Oh, wait, at least on the surface it seem everyone is already reading the Image Comic book. Then, before Christmas, my husband and I were discussing the subject of which superhero is the most like Santa Claus. No one should have to strain their way through that thinly written and poorly researched piece of trash article I wrote based on that discussion. I’ll save you the time: the answer is Dr. Fate in the DCU and Dr. Strange in the Marvel Universe. End of story. Feel free to debate in the comments, just know you’re wrong. Finally, there is the Amazing Spider-Man/Mary Jane Watson relationship built on a lie with ASM #700. I’m holding out to see if Superior Spider-Man eventually addresses what is a powder-keg subject matter. 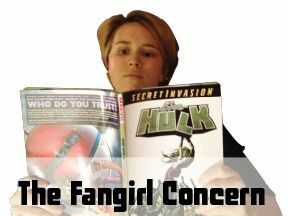 Then, this week on Twitter, Gail Simone was caught addressing an actual fangirl’s concern. (Caught, as if it was done in some covert way. Please, I tagged Simone myself during the debate to see what she might have to say.) 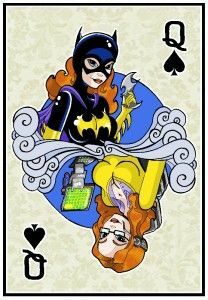 Once again, a fangirl was lamenting the loss of Oracle (valid) and the fact that Barbara Gordon was now de-powered as Batgirl. There is no denying that Oracle is more powerful than Batgirl. A T-Chart or Venn Diagram could be created at this point to prove it. But, there is no need. Despite being paralyzed, as the leader of the Birds of Prey, Barbara Gordon used her most powerful weapon, her brain, or orchestrate the foremost all female team. It was the loss of that part of Barbara and that power that was being lamented in the conversation. It’s a complaint that has been called upon many times since the onset of the DCnU that should be addressed. It was a light-bulb moment. That was the actual concern: the loss of power. That is where the debate should actually be taking place. Are female superheroes best represented by being the most powerful or having the best stories? Some argue that the two do not have to be mutually exclusive. Superman is ‘Mr. All Powers,’ and has a key title. Why not give a powerful character, like Oracle, her own book? Why “downgrade” her? However, on a journey, power is usually gained. By the time full power is reached, there is not as much room for growth and the stories become more narrowed in choice, and risk being more poorly written. That’s not to say that Oracle reached a zenith just before Flashpoint. However, leaving her as was wouldn’t exactly open any new doors for story telling either. The DCnU not only creates a jumping on point for new readers, but gives writers more freedom to tell different stories without being weighed down with as much continuity. The point is that a successful female hero book- or any hero book for that matter- doesn’t mean that character has to be the most powerful to be good. It’s their journey and their story that shapes that universe. Which do you think is more important to the creation of female superheroes: power or story? Leave your thoughts below. Any are welcome. That’s the beauty about comics. We all look at them and read them differently. Comics are inherently narrative. Story rules in this dimension. Name one story where Batman gets powers that became a classic.